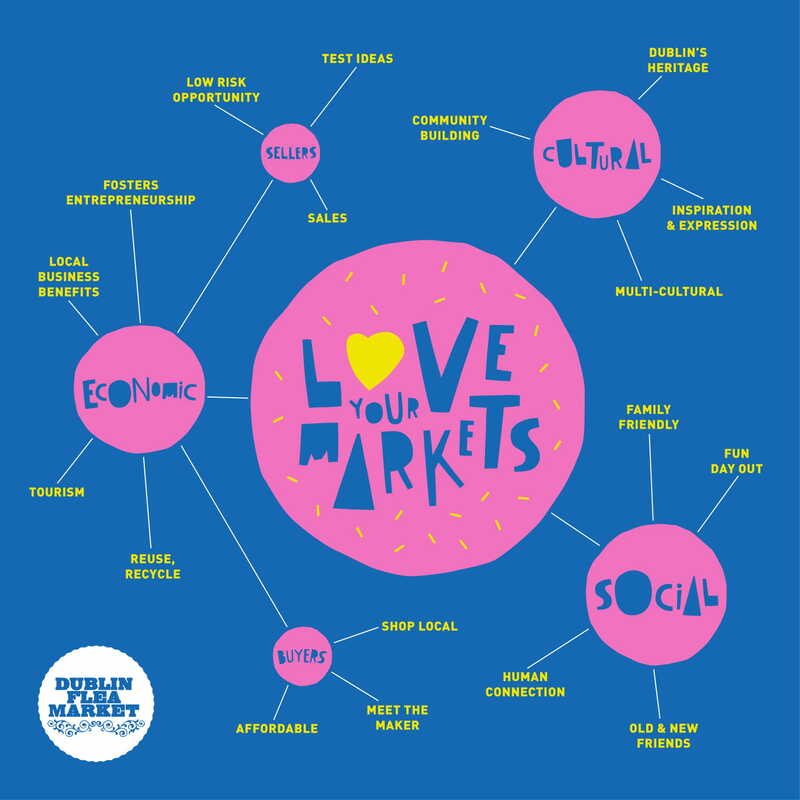 Over the summer this year we sadly saw the closure of seven Dublin city centre weekend markets. Enough is enough - we need to act. Dublin Flea Christmas Market is only possible thanks to the funding and support of those that believe in it. This year we responded to increased demand from traders and visitors yet despite our best efforts we didn't receive all of the funding needed for the two week market. However, with your help, we can make this market viable and sustainable. With the funding we also want to build an effective campaign to lobby for change in 2019. We can’t wait to see you at the Dublin Christmas Flea at the Point from 6th-9th December and 13th-16th December. We are staying hopeful and continue to look for a home for the Dublin Flea monthly market.